Posted on March 20, 2019. Filed under Association News. Be the first to comment. As one of the partners of the EU grant-funded SMART Myanmar 2.0 project http://www.smartmyanmar.org, ADFIAP participated and spoke at the World Wide Fund for Nature (WWF)-organized briefing on sustainable finance for the Central Bank of Myanmar (CBM) on March 7, 2019 at its conference hall in Yangon, Myanmar. ADFIAP was represented by Atty. 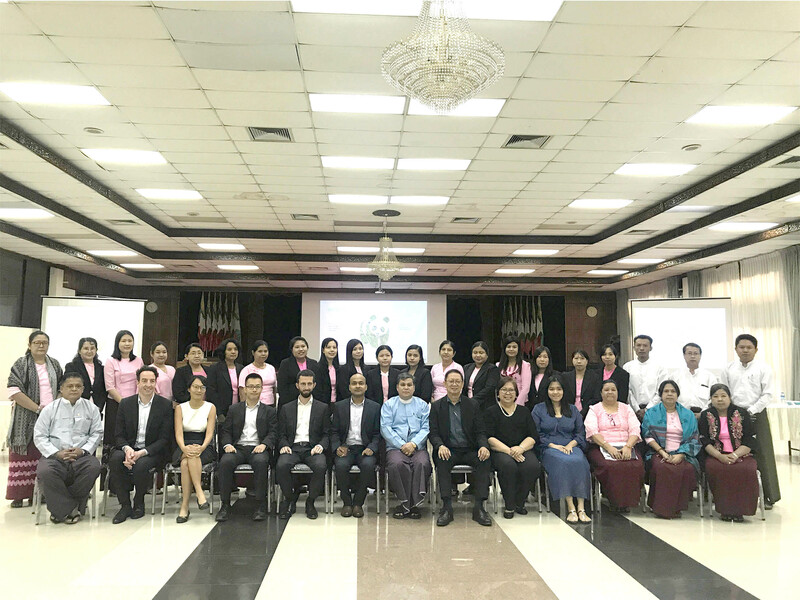 Alberto Reyno, Managing Partner of the ADFIAP Consulting group (AC), who presented the project’s “green finance policy framework” and its strategies in promoting green finance in Myanmar banks. He also covered the essential elements in crafting the green finance policy framework and various projects that are classified as “green”. He was assisted by Ms. Cecilia M. Ibarra who leads the AC advocacy and training portfolio and Ms. Su Mon Thair who is the project manager of SMART Myanmar 2.0. WWF was represented by sustainable finance engagement managers, Ms. Naomin Tan and Ms. Sylvain Angoyard of WWF Singapore. They discussed the drivers and state of sustainable finance in the ASEAN region and the way forward for Myanmar in adopting sustainable finance. 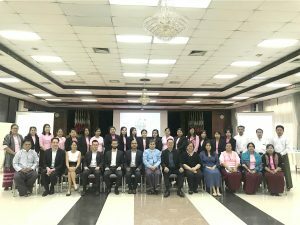 30 officers and staff of CBM led by Deputy Director Ye Aung of the Financial Institutions Supervision Department attended the event. The SMART Myanmar 2.0 project is a 4-year EU-funded project aimed at improving production and increasing consumption of sustainably-produced garments from Myanmar through up-scaling and adopting best practices developed and implemented during SMART Myanmar 1.0 project.